53% of all British adults surveyed said that given the economic climate they are now conducting more transactions online than they did in the past year. Website problems are having a dramatic effect on the bottom lines of online businesses with 46% of adults revealing they would abandon a transaction entirely after experiencing a problem on the website. 40% said they would abandon and then turn to a competitor, leading to potentially long-lasting loss of revenue. 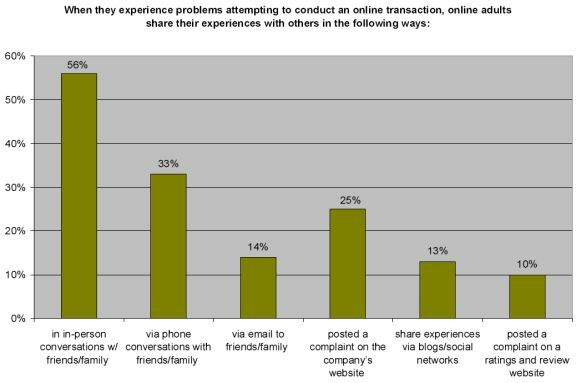 13% of online adults who encountered issues said they shared those experiences on a social networking site. vendor after reading good reviews. The nex big thing? 48% of respondents said they had a web-enabled mobile device and of these, 31% have conducted online transactions using a mobile.